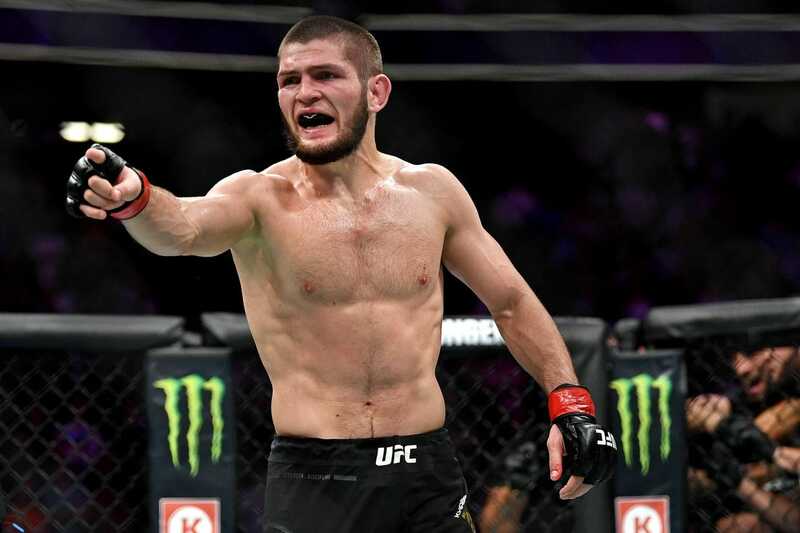 The Nevada State Athletic Commission suspended UFC fighters Khabib Nurmagomedov and Conor McGregor in a unanimous vote Tuesday for their involvement in a brawl after their lightweight championship bout at UFC 229 in October. Nurmagomedov (27-0) was suspended nine months, with the opportunity to reduce it to six months by participating in an anti-bullying campaign. McGregor (21-4) was suspended six months. Both suspensions are retroactive to the night of the fight, Oct. 6, meaning McGregor and Nurmagomedov -- if he participates in the campaign -- will be eligible to compete again starting April 6. Both fighters were also fined -- $500,000 for Nurmagomedov and $50,000 for McGregor. Nurmagomedov's manager, Ali Abdelaziz, found the difference in fines unmerited. "I don't think it's fair," Abdelaziz told ESPN. "Khabib gets $500K and Conor gets $50K? I think it's bulls---." The difference is likely a result of Nurmagomedov instigating the conflict. Moments after Nurmagomedov submitted McGregor in the fourth round of their title bout, the Dagestan native climbed over the cage surrounding the Octagon and jumped at Dillon Danis, a friend and teammate of McGregor who fights with Bellator MMA. That melee sparked conflicts both outside and within the ring. McGregor had to be restrained from also leaving the Octagon, and the Dublin native then exchanged punches with Abubakar Nurmagomedov -- Khabib Nurmagomedov's cousin and a lightweight fighter in the PFL -- and Zubaira Tukhugov, a teammate of Khabib Nurmagomedov, after the pair had entered the ring. The NSAC suspended Abubakar Nurmagomedov and Tukhugov each for one year and fined them $25,000 apiece. Danis also will be punished, though the details will be determined later. "That's fair. They'll both get six months," Abdelaziz told ESPN of the suspensions for Khabib Nurmagomedov and McGregor. "But for his teammates, it's too much." Abdelaziz added that Nurmagomedov intends to pay the fines of his friends. Later Tuesday, Abdelaziz told ESPN that Nurmagomedov will not compete in Nevada again because of the punishments against his teammates. "He's done with Vegas for giving his brothers such harsh punishment," Abdelaziz said, per ESPN. "He loves [Madison Square Garden]. Lots of his fans live around there, and New York has always been good to him. He misses fighting in New York." Abdelaziz also said Nurmagomedov will not fight for the UFC again until his teammates' suspensions expire, which will be Oct. 6, adding Nurmagomedov is currently targeting a return to action at MSG in November. Nurmagomedov tweeted an apparent reaction to the punishment Tuesday, writing only, "politics forever." His fine will be taken from the portion of the $2 million purse that was withheld by the NSAC, which initially held the full purse before releasing half of it in October. The NSAC suspensions -- which were negotiated before Tuesday's vote after a lengthy investigation by the commission -- will be honored by the UFC and other fighting organizations outside of Nevada. UFC 229 marked a long-awaited battle between Nurmagomedov and McGregor, who attacked a bus with Nurmagomedov on board at Barclays Stadium in Brooklyn last April, adding fuel to an already burning fire between the two. McGregor previously has said he expects a rematch, but it's unclear when that might happen.